Just by some odd coincidence two columbines have ended up together in a border. 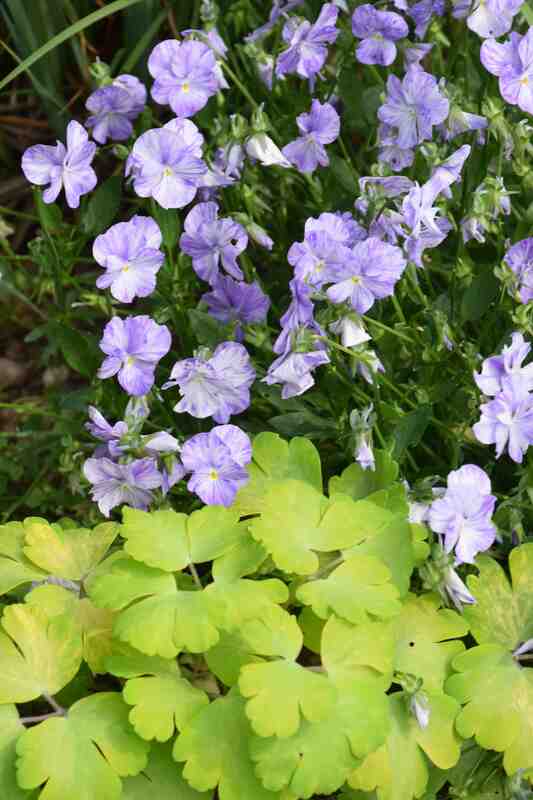 I put two viola ‘Columbine’ in a bed and decided to put some blue aquilegias (columbine) in the same border. Half the batch (from seed) had yellow leaves and I picked these out to plant and I think the two look quite good together. 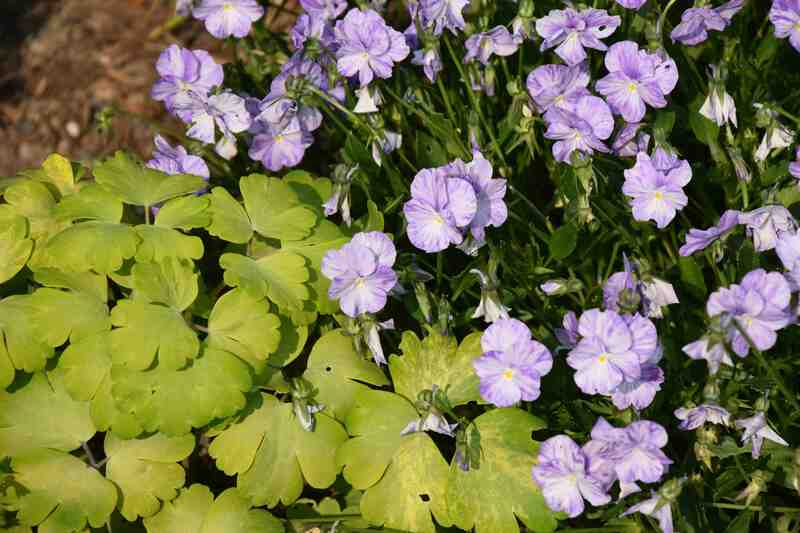 ‘Columbine’ is a Viola cornuta hybrid and perennial. It is propagated from cuttings. The flowering stems are hollow and do not root well so you need to take basal cuttings. To do this I will need to cut back the plants this week, give them a water and a feed and I will get a mass of new shoots. When these are about 7cm high I will use these for cuttings. They root easily and I will have lots of young plants to put out next spring. Apart from the pretty, purple-streaking on the flowers this is worth growing for its fragrance too. ← Chilean guava: a fruit the birds won’t eat? Thank you for the tip, I have never had much success taking viola cuttings, I shall try doing it like this. I love violas and many of them seem to fizzle out after a year or two.